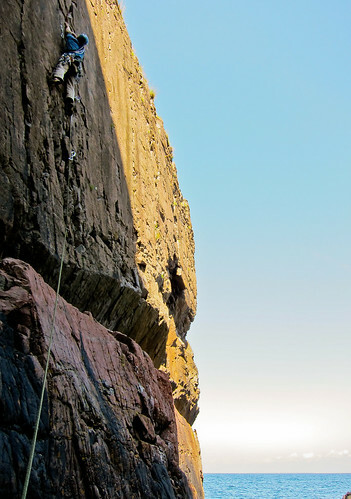 I have been climbing on Kullen in Sweden for more than 15 years. In other words it’s my local climbing crag, so I would like to think that I know the area pretty well. 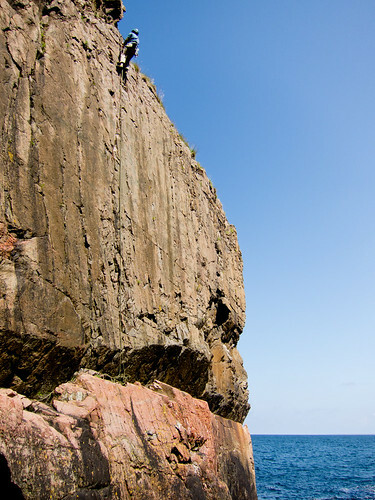 I went out to Kullen on Saturday with my friend Anders Vedersøe to do some trad climbing. It was the first time for me in a while climbing with a rope since I have been busy with my newborn daughter. I have only had time for bouldering and a bit of training at the climbing wall. It was very cool to be back on Kullen to discover the area of Vattenhjulet. It’s incredible that after so many years of visiting Kullen, it’s still possible to discover new quality stuff. It was my first visit to this sector. It’s not a hugely popular area since it has a rather awkward abseil access, but I got very pleasantly surprised with the atmosphere, but also with the quality of the routes.